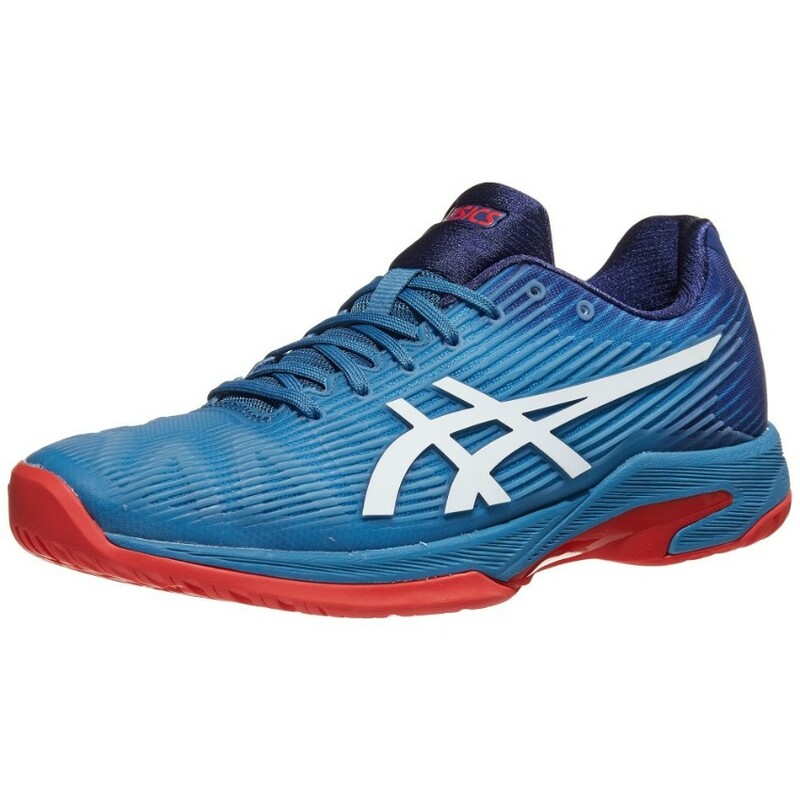 Asics Solution Speed FF Blue/Red Men's Shoes - Tennis Town | 網球購物城 - Tennis Racquets, Equipment, Strings, Shoes & Bag. Advantage, you. A limited edition colorway inspired by Indian summer sunsets, this aggressive competitor is always up for a match. With the addition of the responsive FlyteFoam® Midsole Technology and Twisstruss system, the Solution Speed FF boasts the lightest weight in the tennis shoe category. Heel-to-toe GEL® cushioning offers maximum comfort and shock absorption for those quick cross-court hustles while the Flexion Fit® Upper secures your foot without restricting movement. Weight: 12.19. Heel Height: 19.5mm. Forefoot Height: 9mm.